The introduction of family-centred care & hand washing routines has helped Province Hospital's most vulnerable patients. New Plymouth neonatal nurse Jane Bocock with a premature newborn being cared for by his grandmother. 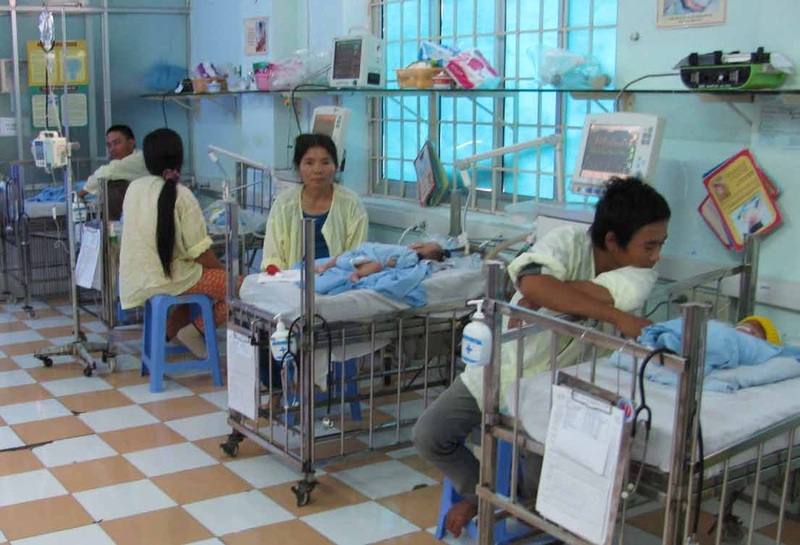 We don't tell our partners what they need - we respond to well-researched and demonstrated health needs within Vietnamese hospitals & community health centres. These agencies serve remote and outlying parts of a sprawling - and still developing - region of Vietnam. 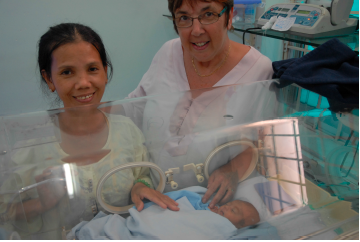 Neonatal outcomes are upheld as an example of the kind of gains the NZ | VN Health partnership makes possible. Mortality rates for premature and vulnerable newborns have halved in the eight years we have been working alongside Province Hospital's neonatal team. The results are evidence. Just a few years ago, families were not allowed into the ward to help tend to sick & premature babies. Demand for one-on-one nursing care vastly outstripped demand. On seeing how well this model of care worked while on a training exchange in New Plymouth, unit director Dr Hong trialled it - with remarkable results.